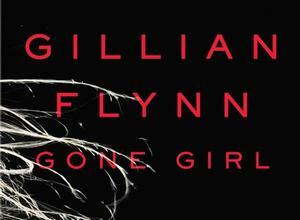 Everyone was talking about Gone Girl by Gillian Flynn, so I had to read it just to find out what all the fuss was about. First off, this book had me gripped from the start. I stayed up into the wee hours of the night in order to finish it. I don’t want to give away too much of the story, because this book is like a mind game for the reader. A brief synopsis: Nick and Amy, a golden couple from NYC, had everything until suddenly they lost it all. They were both laid off from their jobs, family problems led to them losing the last of their savings, and they end up moving back to Nick’s small hometown to care for his sick parents. Gradually their marriage starts falling apart, but one day something dreadful happened...This is the story of what happens when Amy goes missing. Suddenly everything that seemed real is not and the story jumps around to create completely different pictures of the same event. I found my feelings for the characters changing with every chapter, along with my own ideas about what might have happened. Gillian Flynn has carefully crafted a story that, although not entirely believable, is a very tense psychological thriller that you are unable to put down. You might not like the story, but you will be totally engrossed in it. Although, I loved the first half of the book, which seemed well-thought out and carefully plotted, I found that the book began to lose its momentum and I no longer felt the same thrill that I had felt in the beginning. That being said, I would still give Gone Girl 4 out of 5 stars, and recommend it to anyone who likes a good (and easy to read) thriller.